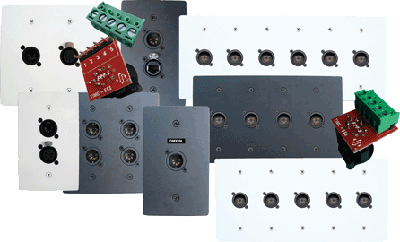 Lowest cost XLR and RJ45 receptacle plates and modules. Designed to permit installation of smaller controls into existing larger electrical backboxes. These plates are both dimensionally and paint matched to allow for a "finished look" when used with all JSI manufactured control stations.